The Waters to the Sea® Mississippi River Delta Educational Initiative offers professional development experiences for St. Bernard teachers and enriches learning for students through a focus on Mississippi River delta education. The Initiative includes three elements: a three-day Mississippi River Delta Institute for educators held each year at Docville Farm, an interactive multimedia learning program about the Delta’s natural and cultural history, and a teacher exchange program between St. Bernard Parish public schools and two school districts in the Minneapolis, St. Paul area at the headwaters of the Mississippi River. While not yet officially summer, the air was especially thick outside the Maumus Center on Monday. Dew-covered plants lined soggy retention ponds ready to collect water from the coming rains. Teachers meandered through the gardens, learning from experts about how smart landscape design can help manage stormwater and improve water quality. 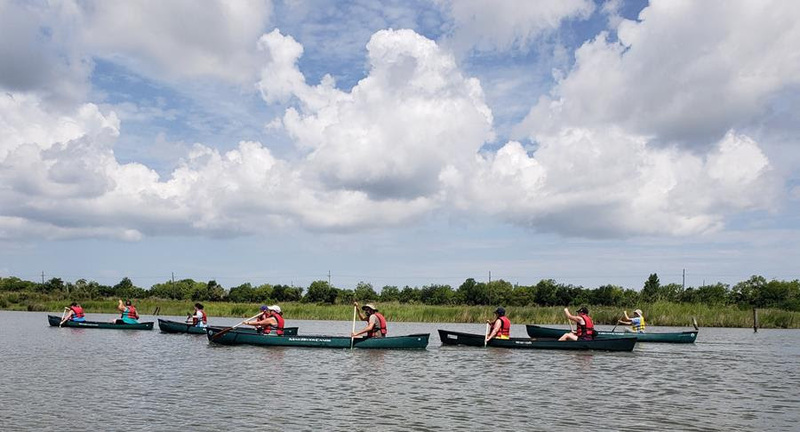 This was but one of many experiential activities that some two dozen teachers participated in as part of the 4th annual Waters to the Sea® Mississippi River Delta Institute. The three-day professional development program was held this week in St. Bernard Parish for educators from the Mississippi River’s headwaters in Minnesota and delta in Louisiana. Presented by the Arlene and Joseph Meraux Charitable Foundation, the annual gathering explores how using rivers as a context can help students meet education standards in science and language arts as well as in other curricular areas. “Providing quality educational opportunities for children was very important to our Foundation’s founder, my Aunt Arlene, and we’re proud to honor her memory and advance her vision through the Delta Institute,” said Rita Gue, the president of the Meraux Foundation. The Meraux Foundation’s mission is to improve the quality of life in St. Bernard Parish, and given the parish’s position at the delta of one of the largest river systems in the world, the Delta Institute is especially pertinent. The Delta Institute is part of a larger national initiative, spearheaded by the Center for Global Environmental Education at Hamline University in St. Paul, Minnesota. The local program brings together many partners, including the Coastal Education Program at the University of New Orleans in a leadership role as well as a slew of subject matter experts from fields ranging from the arts to architecture. 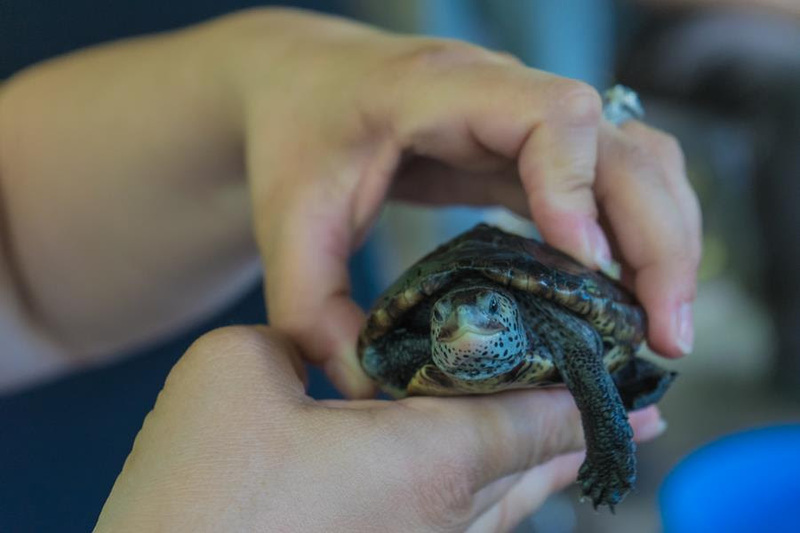 The Meraux Foundation started the local program four years ago, and it has grown into one of the Foundation’s most prominent environmental initiatives. Last year, the Foundation hired a coastal and environmental program manager, Blaise Pezold, to oversee and expand the nonprofit’s work in this area. Pezold has been involved with the Delta Institute since the beginning and has seen it grow throughout the years. 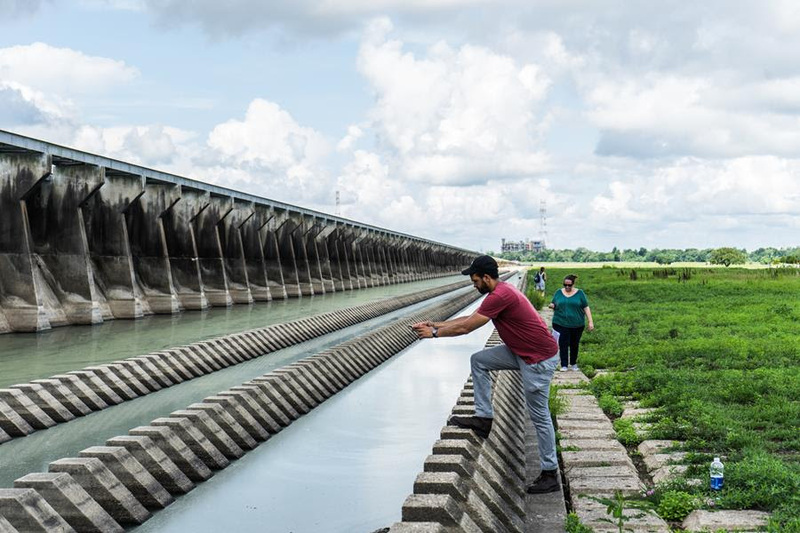 The Delta Institute consisted of three days of experiential learning that included a boat tour, a visit to a surge barrier, numerous field activities, and of course, exercises at the Meraux Foundation’s Docville Farm campus. A large part of the coursework focused on strategies for helping students ‘think like scientists’ as they practice the skills of literacy. Next month, a contingent from Louisiana will visit the headwaters in Minnesota as part of the exchange. In addition, award-winning producer Tom Gregory will make a separate trip to the headwaters to gather content for an electronic field trip sponsored by the Meraux Foundation.